Intermodal Transport is reaching your region with BoxTango. Through BoxTango, intermodal transport will also reach your region. By activating new transfer sites, at first in Upper Swabia and Switzerland, new areas are being connected to railway transportation. Therefore, you will be able to profit from the benefits of intermodal transport. The first trains will be launched as soon as the capacity utilisation is secured. North Rhine-Westphalia, Upper Swabia and Switzerland will take the lead and be connected three times a week by train. As our offer is constantly being expanded, we are happy to make a custom proposal that meets your individual needs. Here you can find the additional charge table. Intermodal Transport involves the transportation of freight using multiple modes of transportation (rail, ship and/or truck). We are able to lower the costs of your transportation by utilizing the synergy of these modes. Intermodal transport produces less CO2 emission as sole road haulage would. This way we already saved 2222.6 tons of CO2 emission for our clients since the beginning of 2017. If you would like to participate in saving CO2 emissions and transport your goods with less impact on the environment we’re happy to help you change your haulage to intermodal transport. Reduction of CO2 emission for our clients in comparison to sole road haulage. BoxStation speeds up and simplifies your processes! Containers as well as swap bodies can be easily stored temporarily. 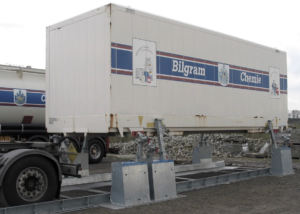 Your container or swap body is securely stored at the ramp in a few minutes. Driver and truck are once more operational in no time at all. The BoxStation is directly mounted on the ramp. 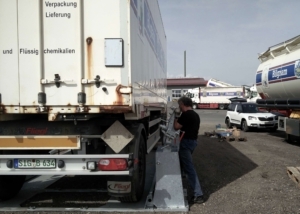 Therefore, trucks with or without containers can easily be loaded and unloaded. 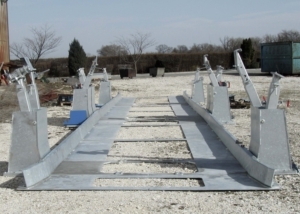 Due to the various stilts available for BoxTango, you can use ISO-containers or swap bodies. 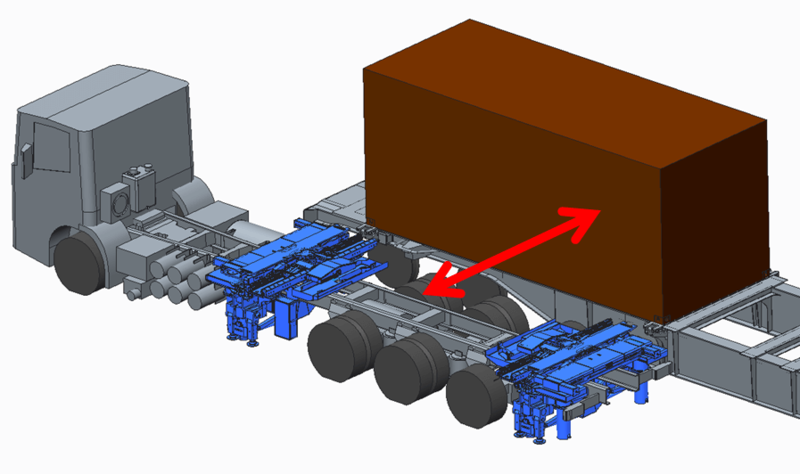 Nothing will bring the station on its knees – it can bear a total weight up to 40 tons (incl. 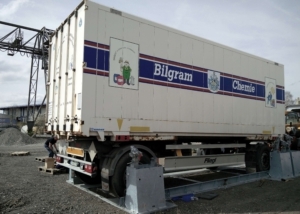 lift truck and container). The general time of delivery is around three months. These variations of the BoxStation are available. By 2019 / 2020 our transfer technology will make every transport easier und faster. Every conventional container can be transferred without expensive, inflexible gantry cranes or reach stackers. 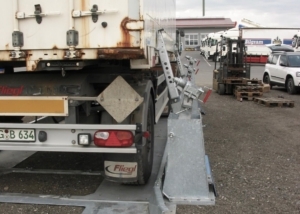 The transfer technology will be mounted on a conventional truck. This truck can stop at and attend to several transfer sites per route. This is reducing the viability threshold per transfer site. 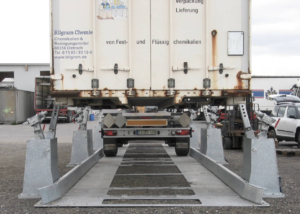 Therefore every loading track or side becomes a small container terminal.